Currently supported game version: 1.33 work on other versions – is not guaranteed. Attention, if you are using a mod for physics – in the mod manager, install the mod on physics BELOW addons DAF_XF_by_vadik_v.6.3 and Kraker/NTM_for_the DAF XF by vad&k!!! 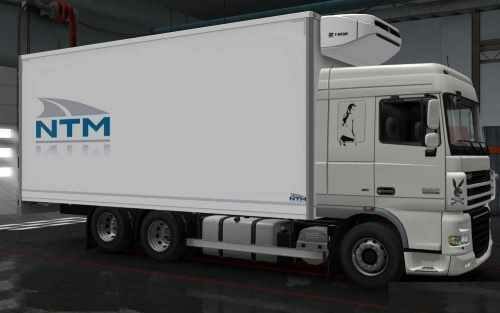 Attention, if you use the adapted physics for the DAF XF105 mod from vad&k, do not forget to make changes to the configuration files that are in the \def\vehicle\truck\daf.xf\chassis and \def\vehicle\truck\daf.xf\cabin!! !